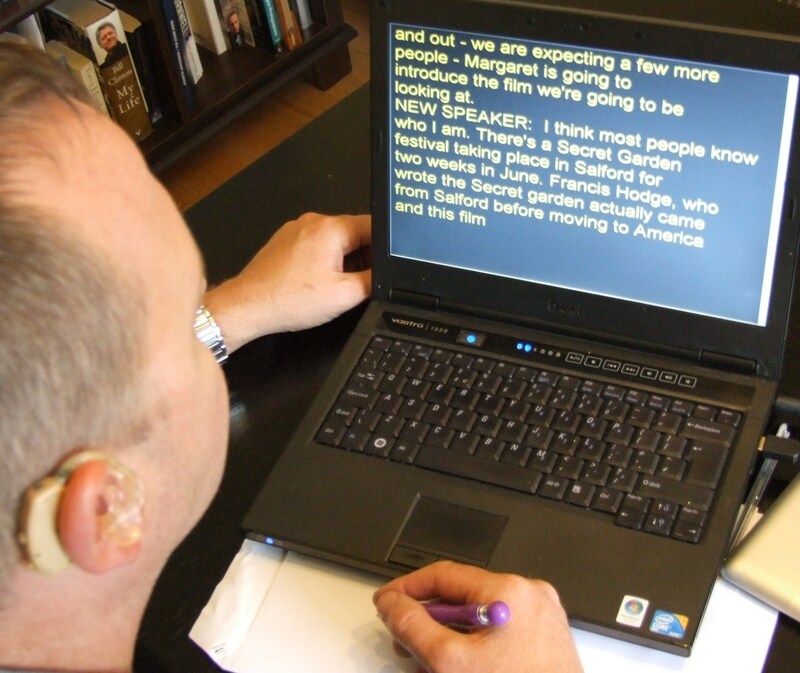 Speech-to-Text Reporters (STTRs) provide professional communication support for deaf and hard of hearing people. AVSTTR, the Association of Speech-to-Text Reporters, was created to offer support and guidance to our professional members, to share learning through the exchange of ideas and experiences and to promote training. We aim to raise public awareness of our profession and to promote equal access to communication in English for deaf and hard of hearing people. STTRs listen to what is being said and simultaneously convert this to text on a screen. This is not a précis or a summary but a verbatim, i.e. word-for-word, account. This enables a deaf or hard of hearing person to follow exactly what is being said and to participate fully. There are no gaps to fill in, no guesswork; every word spoken is there in front of you. In addition, where relevant, the STTR will indicate environmental sounds, such as laughter or an interruption by a mobile phone. 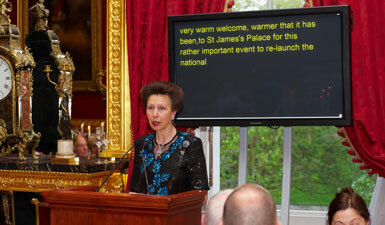 Speech-to-Text is used at a wide variety of events and meetings. An STTR may work with a person on a one-to-one basis at a work meeting or training course, a medical appointment or even during wedding speeches. The person will seat themselves close to the laptop of the STTR where they will have a clear view of the text appearing, word for word. STT may also be used at conferences and public debates, where the text would be projected to a large screen or screens so that the whole audience can see it. The Equality Act 2010 sets out certain situations where there is a duty on employers and service providers to make "reasonable adjustments", which could include the provision of STT. Read more. 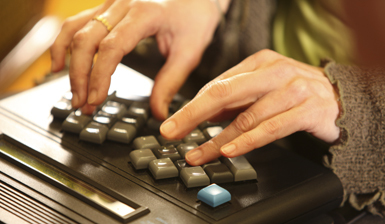 You may be eligible for Access to Work funding to pay for STT in the workplace. Read more. Students: your University/College Disability Officer will be able to advise you about Disabled Students Allowance for funding of Speech-to-Text in the classroom. High speed internet now allows Speech-to-Text to be provided remotely, where appropriate. The STTR, working from home, will listen in to a meeting over a phone link or Skype and will use secure screenshare software to enable someone in a different location to view the text produced on their own PC/laptop/iPad etc. This works best for smaller meetings. All our STTRs here are Registered with the National Registers of Communication Professionals working with Deaf and Deafblind People (NRCPD). Use the booking form below to fill in as much information about the booking as possible and the form will go out via email to all our Registered STTRs. Alternatively, you can contact any of our STTRs individually. As there are so few STTRs in the UK, many travel extensively to areas where there is no provision. We have indicated the very broad areas North and South (of England) or Wales or Ireland where they are located. Denotes reporters who do remote work as well as on site work. AVSTTR Support the Collaborative for Communication Access via Captioning (CCAC) The CCAC film Don't Leave Me Out ! was released June 13. The AVSTTR aim is to provide a training and support mechanism to achieve and maintain high standards within the Speech-to-Text field, creating a sense of belonging for all practitioners in the isolated world in which we work and giving us a stronger voice with which we can improve working conditions for all of us. To become a member of AVSTTR or renew your membership please click here to dowload the form. There are membership categories for virtually every stage in your STTR career. Membership is open to non-NRCPD registered members. Please note that this mail box is checked intermittently, so please be patient for a response.